A destination of stopping places not just passing places! The Lochcarron area has some of the most magnificent scenery in the British Isles, including the Strathcarron hills, the Applecross peninsula and Torridon. Whether you are interested in arts & crafts or food & drink, wildlife, climbing, hillwalking, cycling, diving, sailing, watersports, golfing or fishing – or simply admiring the views – there is something for you. Photography in the above gallery © by David Geddes. Our villages – Shieldaig, Kishorn, Applecross, Torridon, Lochcarron and Strathcarron – offer a great choice of shops, restaurants, cafes, pubs and hotels, as well as bed & breakfast and self-catering accommodation, plus several campsites. The wildlife in the area is one of our most popular attractions, including red squirrels (a growing population), pine martens, deer, eagles, otters and seals. 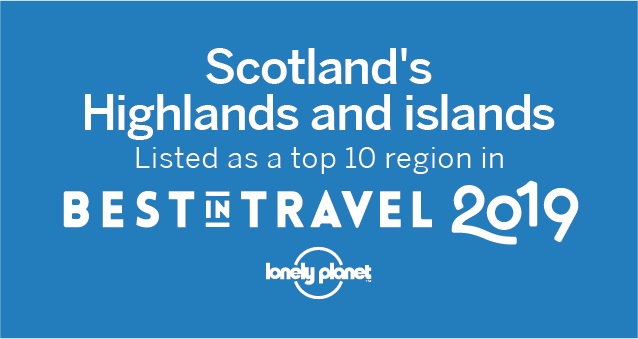 We also have some of the country's most spectacular sea lochs – Loch Carron is an ideal place for underwater photography and its flame shell reef was recently declared a Marine Protected Area. You can also do an arts & crafts course in the area, sign up for mountaineering or watersports courses, learn useful rural skills or research your family tree. Lochcarron also has a 9-hole golf course in a superb lochside location and visitors are always very welcome. Or you can enjoy the country's toughest sport – shinty. For railway enthusiasts, we have the famous Kyle Line – one of Michael Palin’s “Great Railway Journeys of the World.” To view the programme, please click here (Lochcarron area is featured in the last 15 minutes). For garden-lovers, the award-winning Attadale Gardens offer a unique attraction – over 20 acres filled with beautiful water features, an impressive collection of rhododendrons and azaleas, a geodesic dome full of ferns, a kitchen garden and a Japanese garden – plus giant sundial and amazing collection of sculptures. The North Coast 500 passes through the area – a perfect place to start your tour of Scotland's far north or take the Road to the Isles, via Skye or Ullapool. We are happy to announce that the winner of the 2018 Business Award was the Lochcarron Food Centre (SPAR). The award was presented to Emma MacLean at our AGM. The Lochcarron Out & About Guide offers detailed information on the area, with tips on walking, climbing, cycling, fishing and sailing, etc. Copies are available at local shops (priced at £4.95), or you can order a copy by clicking the button above. When you mention us on social media, please use the hashtag #IV54.